Should "The Powerfully Confident Man" need lots of hot women in his life? Does he need status and respect? Does he need a great variety of sexual adventure? The truth of the matter is this: "The Powerfully Confident Man" needs nothing, he may want things but that is a very different place to be coming from. Imagine being able to confidently interact, impress and attract everyone you meet. To always make a vigorously positive first impression and be an instant and obvious leader in all situations. This life-changing book shows you how to make a dramatic paradigm shift to accelerate through the three phases of male maturation to become serenely comfortable in your own skin. Discover the secrets to embracing your strengths and skillfully harnessing them to attain maximum leverage on life. At the same time learn how to accept and make peace with your weaknesses so that they no longer prevent you from living the life you truly desire. 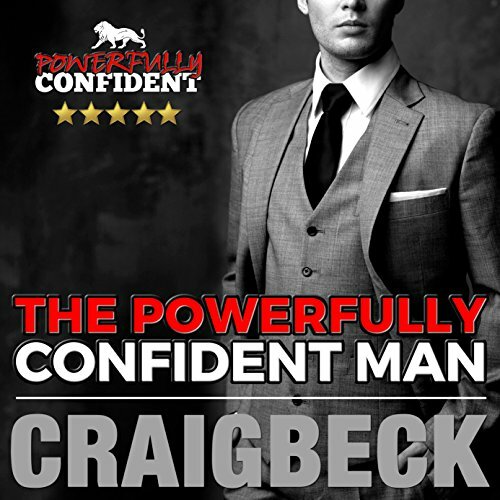 ITunes best-selling personal development author and founder of PowerfullyConfident.com Craig Beck reveals you how to become a commanding alpha male who is irresistibly desired by women and respected by all. How to make other people feel amazing. Become the man that all women want. Why you must strive to join the top five percent of all men. Every man should listen to this book at least once, but most won't - it's much safer to stay hidden in the comfort zone.